Making a bequest to AWC is one of the most important ways you can help to secure the future of Australia’s wildlife and habitats. How can I leave a lasting legacy to AWC? By leaving a gift to Australian Wildlife Conservancy (AWC) in your Will, you will be playing a vital role in helping to protect Australia’s wildlife and the habitats for future generations of Australians. In fact, your gift could spell the difference between survival and extinction for some of Australia’s most endangered species. Your gift will have a lasting impact and will be applied to priority programs aimed at halting and reversing the tide of extinctions in Australia. With 87 per cent of AWC’s total expenditure invested in conservation and 80 per cent of our staff based in the field, you can be confident your contribution will be deployed where it can make the biggest difference to Australia’s wildlife – in the field. Your bequest could help AWC to purchase a new sanctuary; restore Australia’s lost biodiversity through the reintroduction of threatened species; support the long-term management of AWC’s sanctuaries or invest in strategic research aimed at securing Australia’s wildlife for generations. The Copley Circle bequest program is a way for us to recognise you for including AWC in your Will. It also honours the remarkable legacy of Martin Copley, AM, AWC’s Founder and Chairman for nearly 15 years. 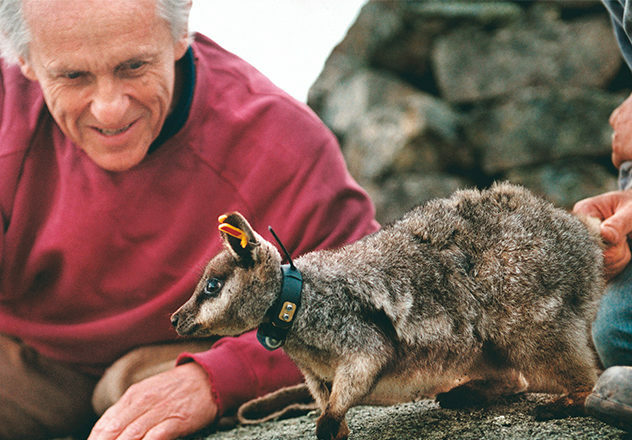 Martin pioneered many key conservation strategies and helped inspire the growth of environmental philanthropy in Australia. How can I join The Copley Circle? Joining The Copley Circle not only provides more opportunities for you to engage with AWC on a more personal level during your lifetime, it also helps AWC continue to deploy an effective strategy – practical land management and world-class science – to protect and restore Australia’s threatened wildlife and their habitats for future generations. We’ll only use your phone number to contact you regarding bequests. How can I get a Gift in Will pack? You can request an AWC Gift in Will pack using the form below. Our Bequest Officer will send you more information about how to leave a gift to AWC in your Will, AWC’s Gift in Wills Instruction Sheet and information about The Copley Circle. We recommend you seek the advice of a solicitor or Public Trustee when making your Will. The information on this website or contained in our information pack is not intended to replace or substitute the advice of a qualified solicitor. Please seek the advice of a qualified solicitor or trustee when making your Will as the correct wording for leaving a gift is very important. Your solicitor will provide you with more details about different types of gifts and what that may mean for your family. Who will benefit from my estate? Talk your intentions over with your family so there are no surprises for them. Who will look after my estate when I am gone? This person is called an executor. Are there specific gifts I would like to leave in my Will, such as personal jewellery, furniture items, artwork or family memorabilia? Fill out a Wills instruction sheet before you meet with solicitor. If you need to find a solicitor, simply contact your local Law Institute or Association in your State or Territory as they can refer you to a solicitor in your area. Make an appointment to see a solicitor, ensure you have all the necessary information at your fingertips to complete your Will. It will help if you take our handy instruction sheet with you. Please let us know of your intentions by sending an extract of your Will to our Bequest Officer. You can email our Bequest Office at CopleyCircle@australianwildlife.org. We would like to thank you and welcome you to The Copley Circle. We would also like to tell you about the benefits your gift will bring, discuss your wishes with you and keep you informed of our latest achievements. By telling us of your intentions you will be helping us to plan for the future. Any information you provide will be treated with the utmost discretion. Sign up to receive updates about AWC using the form below. The following wording will help your solicitor to prepare your Will. You may have already made your Will and feel that it is satisfactory. In this case, you may simply like to add a Codicil (an amendment to your Will) setting out your instructions for a bequest to AWC. This is the simplest way to include AWC in your current Will. You will need to ensure it is signed and witnessed by a solicitor or Public Trustee. Does AWC have charitable status? Yes. Australian Wildlife Conservancy Fund is entered on the Register of Environmental Organisations. Donations are tax deductible under sections 30–15, 30–55 and subdivision 30-E of the Income Tax Act 1997. This means that bequests to Australian Wildlife Conservancy Fund are free from all tax (including Capital Gains Tax). The best form of bequest for most people is allocating a proportion of their estate to AWC. This allows you to decide the share of your estate that you believe is right. You don’t need to know exactly how much your estate will be worth as the gift will grow along with the growth of your estate. 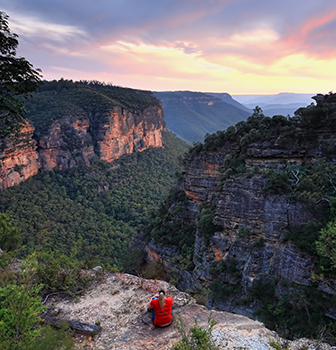 You can bequest the balance – or residue – of your estate to Australian Wildlife Conservancy after your family and friends have been looked after. This kind of gift automatically adjusts to the growth in the value of your estate. Leaving a specific amount of money is a simple way of leaving a gift in your Will because you know exactly how much Australian Wildlife Conservancy will receive, regardless of any change in the value of your estate. You can leave a specific gift of property such as an insurance policy, shares, art works, land, jewellery or any other item of value. AWC welcomes gifts of real estate. If you are intending to leave us a gift of this nature, we encourage you to please contact us, so we can explore with you whether we will be able to retain or sell your land in the event it is given to us. My ‘vocation’ as a conservationist started early. My first-grade teacher taught us students a rhyme that went something like this: ‘Hurt no living thing—no butterfly, no bee . . .’ I remember reciting that rhyme to my parents even as they went to swat a fly. What an annoying kid I must have been. As an adult, I ventured into supporting a whole range of charities—from bear-rescue groups, to environmental lobby groups, to breeding programs for endangered species. I also did a 5-year stint as a volunteer wildlife rescuer and carer. Leaving a bequest to Australian Wildlife Conservancy (AWC) allows my passion to continue—long after I’ve gone. The wonderful thing about AWC is that it’s about finding real-world, practical, on-the-ground solutions—that bear measurable results—to seemingly intractable environmental problems. AWC’s strategy of buying up and managing critical wildlife habitat, fencing it off and eradicating feral species is one I find particularly heartening. It gives me cause for hope. If my bequest can play a role in the preservation of even just one endangered species, then that’s the best possible legacy I can ever hope to achieve. Including a gift to Australian Wildlife Conservancy (AWC) in my Will was not a hard decision. I firmly believe feral animal control projects are essential and I have taken steps to remove feral animals from my own property in the Gondwana Rainforest region of northern NSW. Since the cattle are no longer free-grazing the re-growth of the vegetation is incredible. When I visited AWC’S Mornington Wildlife Sanctuary in the Kimberley, we were driving along a very bleak road until we came to the gates of AWC and suddenly there were birds and vegetation! The difference was astonishing. 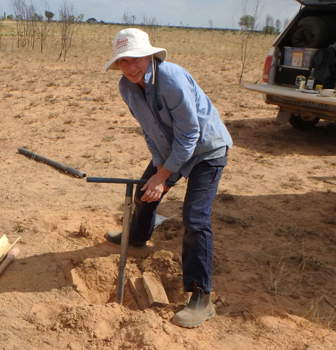 I have been a volunteer for AWC and have worked alongside some of AWC’s dedicated field ecologists. AWC’s efficiency and achievements over the years have inspired me to leave 60% of my estate to AWC. I feel confident my gift will be used effectively to protect Australia’s threatened wildlife and habitats.